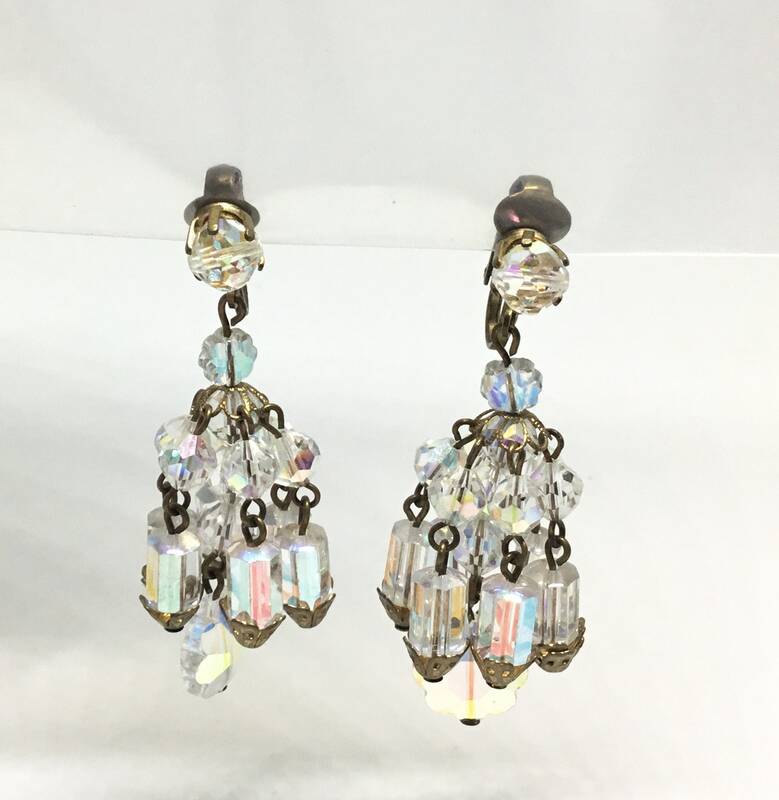 This is a pair of amazing goldtone midcentury vintage clip on chandelier/dangle earrings. 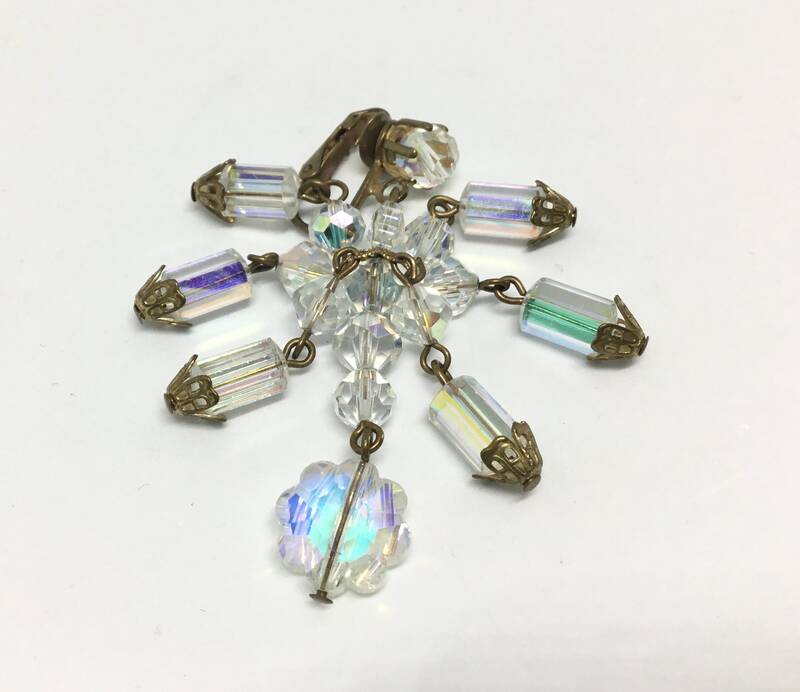 There is a single faceted glass bead at the top with the clip. 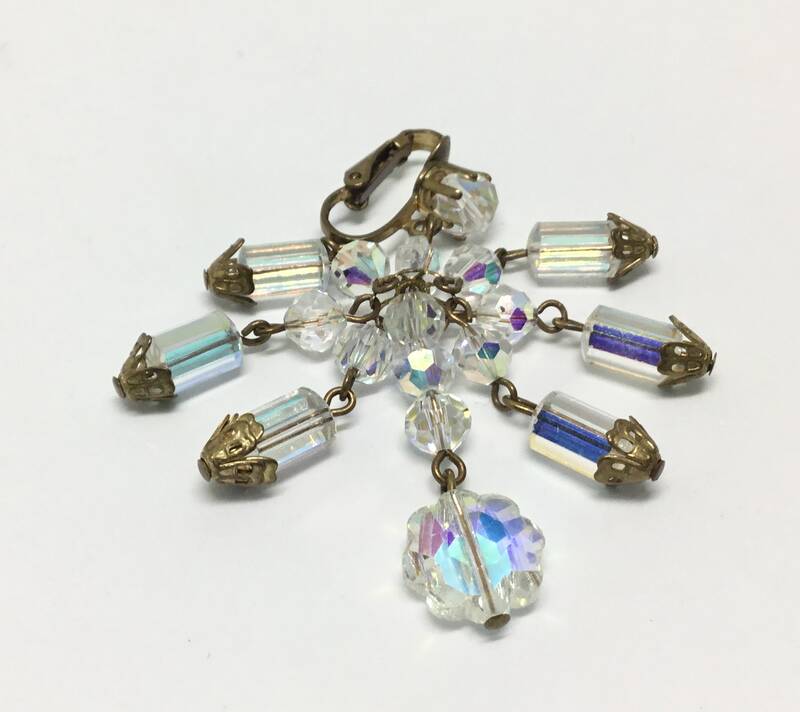 Dangling off of this bead is a fabulous dangle with three different glass beads. 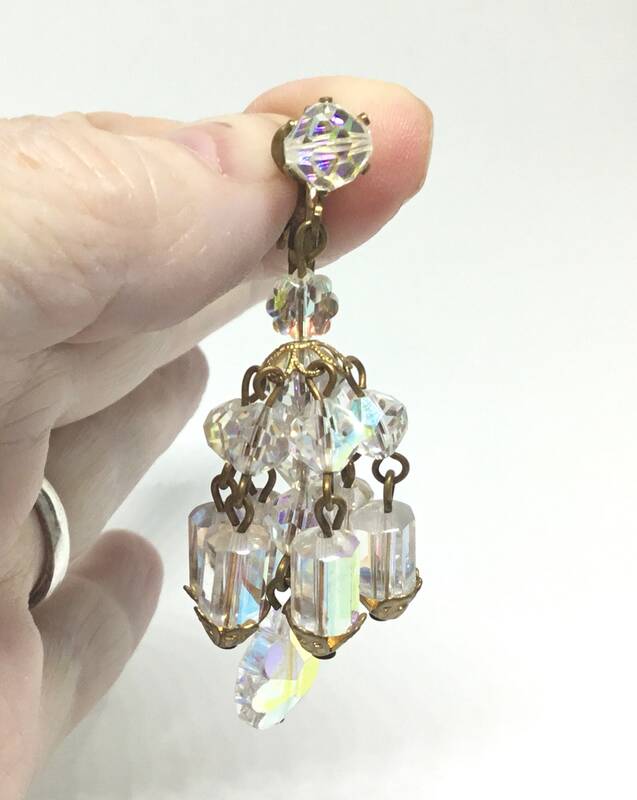 The longest is a center three bead dangle ending in a nice size AB margarita glass stone. 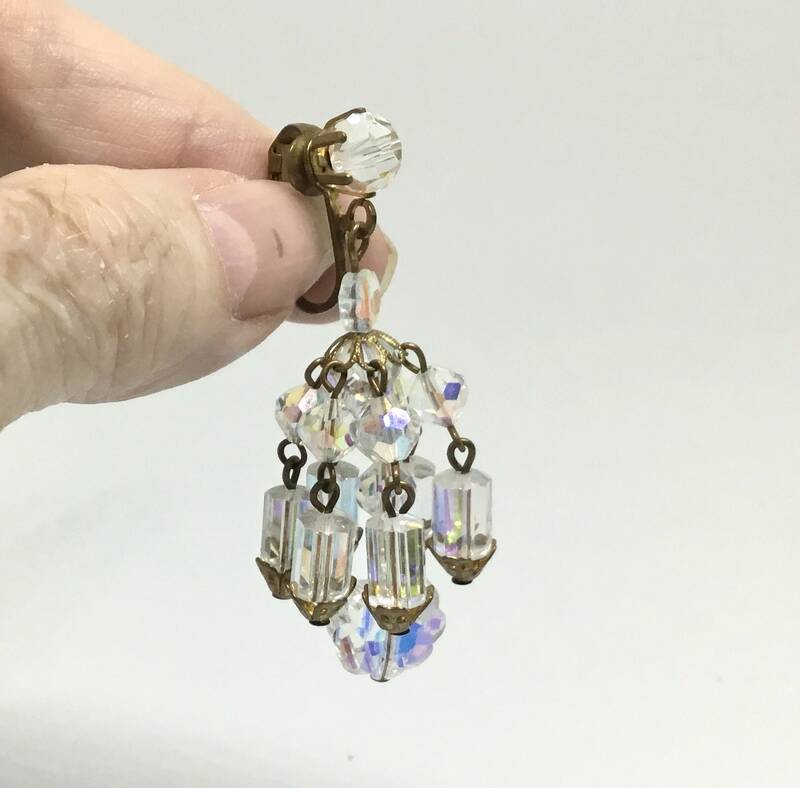 Then there are six dangles with a faceted glass bead and a hexagonal glass bead cylinder ending in a filigree brass end cap. The overall look is definitely unique and wonderful. 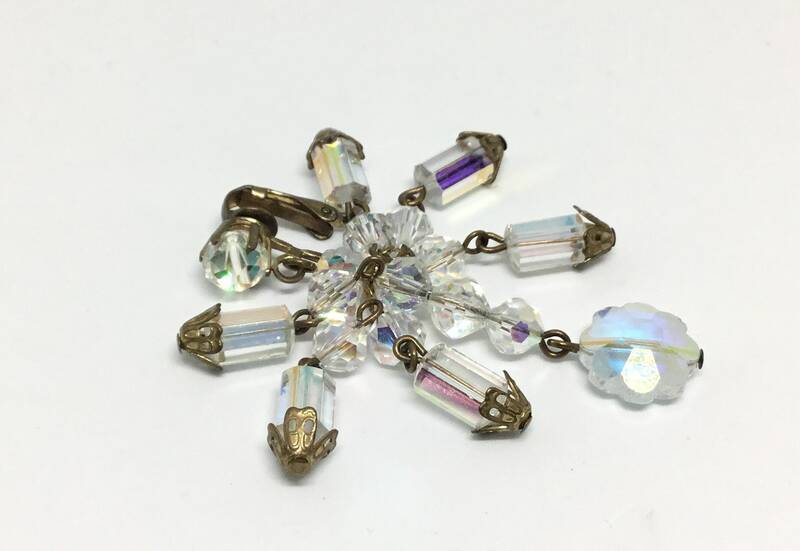 They harken a different time and are well made. It measures 2 1/8” long x 3/4” wide and the clips work well. There is a minimal amount of wear. 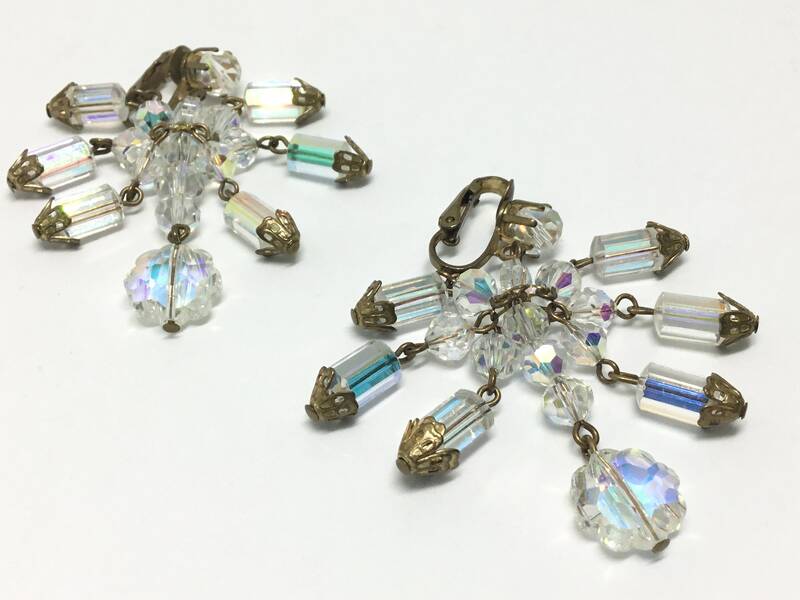 These are great earrings for someone who loves vintage clips and has a flair for the dramatic and elegant!